Joe Ceaphus Haley obituary. Carnes Funeral Home. Joe C. Haley age 90 of Highlands, TX passed away on Saturday July 14, 2018. He was born February 17,1928 in Wink, TX the son of Jasper and Gladys Haley. He was preceded in death by his parents, 2 brothers Kenneth Haley and Archie (Pete) Haley, and 1 son Roger Haley. Joe was a veteran of the United States Army 82nd Airborne Corps, and retired from Olin a division of ExxonMobil. 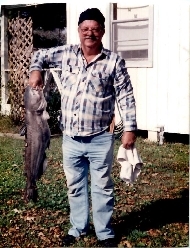 He was an avid fisherman, and loved to watch westerns and The Andy Griffith Show! He is survived by his children Bobby Haley, Douglas Haley, Lynn Haley, and Brian Haley. His siblings Bob Haley, Gladys Langsford, Ella Jeter, and Mike Haley along with a host of grandchildren, great grandchildren, nieces and nephews. The family would like to acknowledge the friendship of Jane Maybin. Jane is an angel sent to us from above. A memorial will be held at a date to be set later.